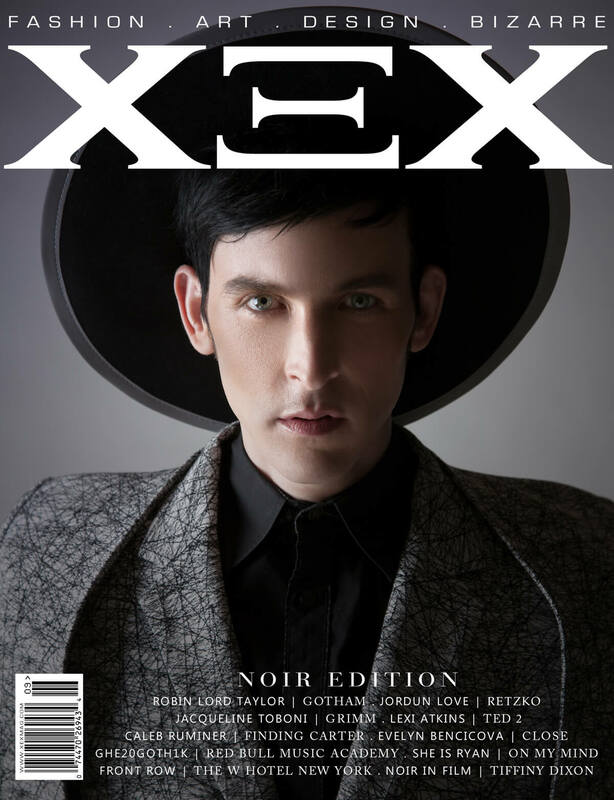 Gotham star Robin Lord Taylor covers Fashion, Art, Bizarre publication XEX Magazine’s Noir Edition. Gotham was promoted as a prequel to Batman starring young Jim Gordon, but now that the finale has aired, it would seem that the first season was really all about Penguin’s rise to power. 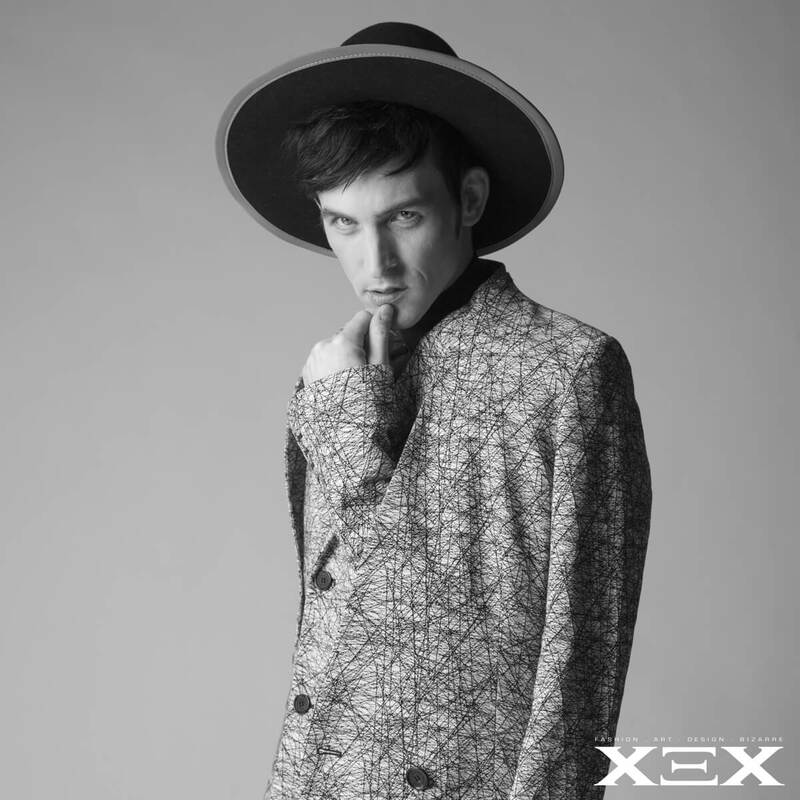 While on set Robin chatted with XEX about how he was casted & what unique characteristics he brought to his interpretation of Oswald Cobblepot. About his distinctive “Penguin Walk”. In Robin’s 1st cover spread he wears fashion forward monochromatic menswear inspired the character including Andrew Marc, Public School NYC, Adeen, Rick Owens, Roberto Cavali & more. 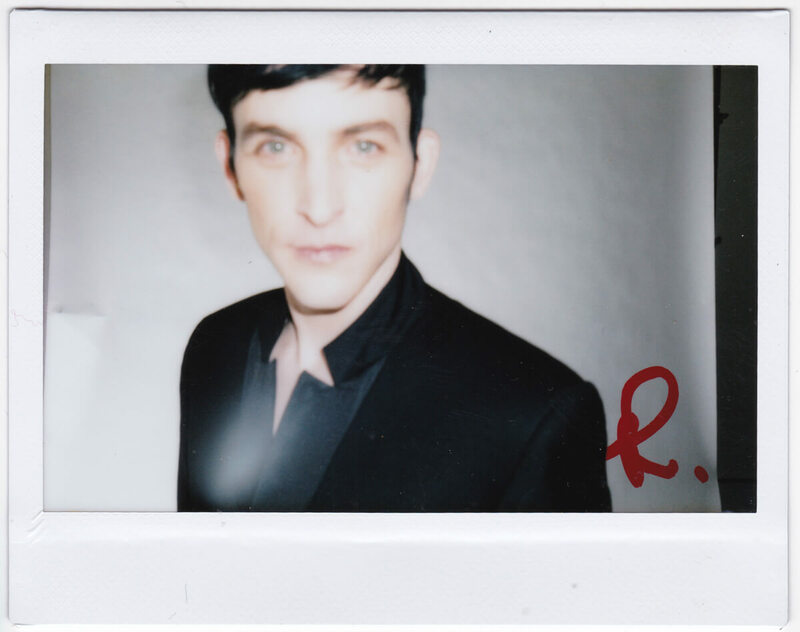 At this weekend’s Wizard World St. Louis Comic Con, Robin Lord Taylor sat down with fans and spoke about how emotional it was for him to say goodbye to Jada Pinkett Smith,who plays Fish Mooney on the series. 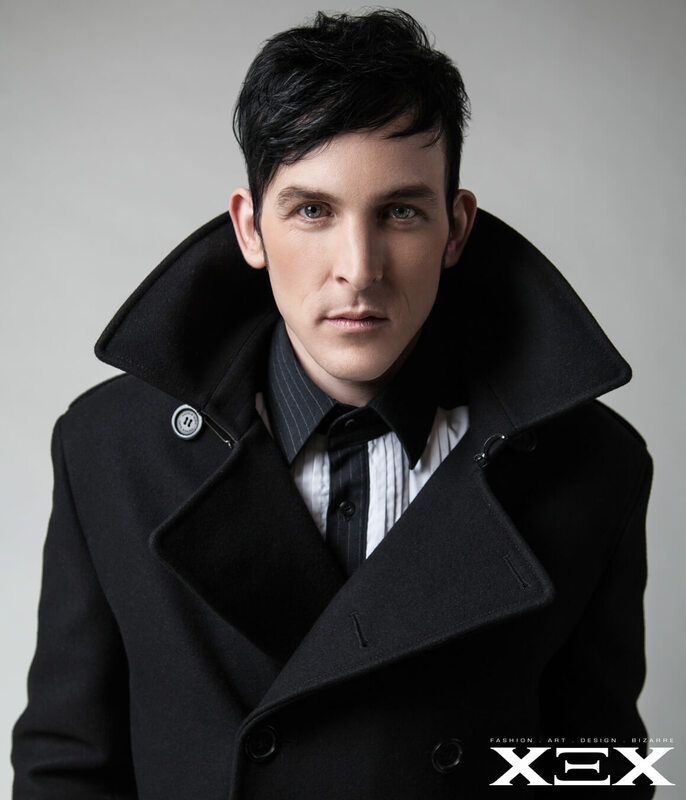 Mooney saw herself (sort of) killed off by Cobblepot, making that moment bittersweet for both Taylor and his character. “I spent all night scrapping with Jada Pinkett-Smith, which isn’t easy, let me tell you,” said Taylor. 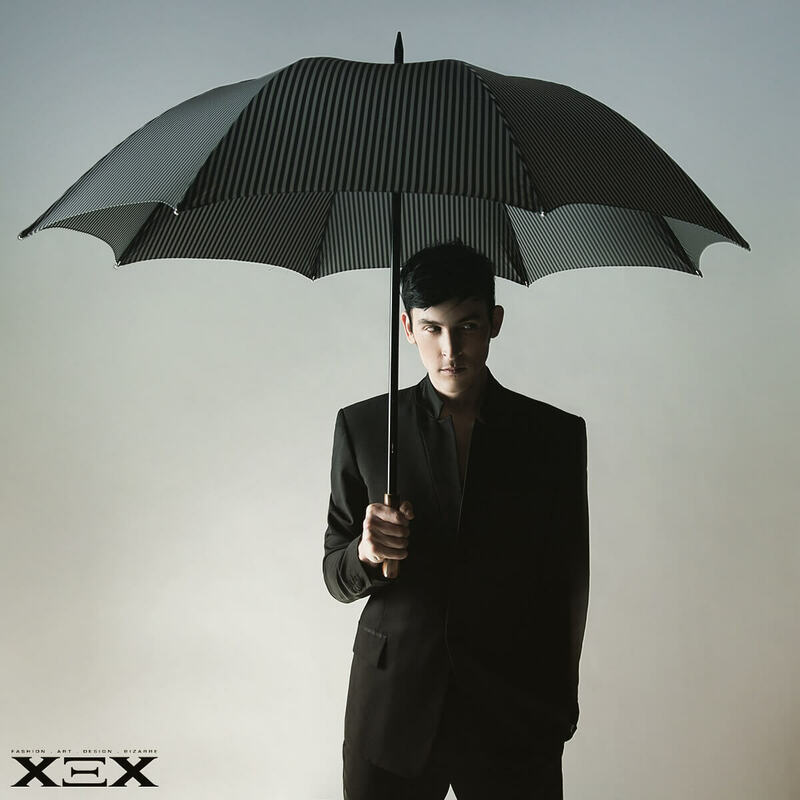 Season two of Gotham premieres this fall on Fox & XEX Magazine is available on Print & Digital Newsstands.